Mountain Hospice has a caring professional bereavement team available to assist our communities. Unfortunately, there are times in our lives when unexpected tragedies occur. Multiple traumas, tragic accidents, the unexpected loss of multiple lives, or the loss of a young life can be a devastating experience for a community to endure. An arranged time to gather collectively with a caring professional to teach us techniques to help ease our grief and sorrow may be needed. 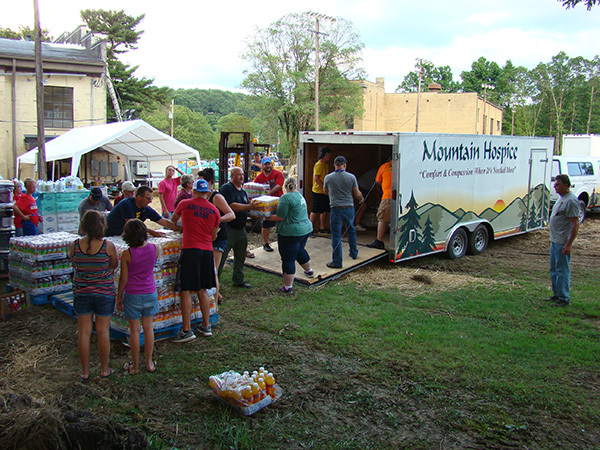 Mountain Hospice provides community crisis assistance to help community members during these times of devastating loss. Our exceptionally trained bereavement team is available to provide comfort and compassion to schools and local organizations. We are members of the communities we serve, and want to use our experience to assist those around us in times of need. To learn more about our community bereavement programs or to schedule a presentation call 1 (888) 763-7789.